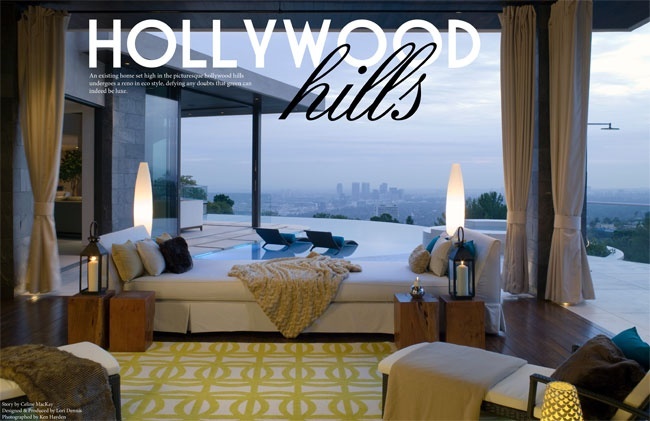 What strikes us first about this home, located in the Hollywood Hills of Los Angeles, is its pure luxury. It makes no effort to hide its opulent and indulgent nature, and it’s hard at first glance to imagine that it’s green. 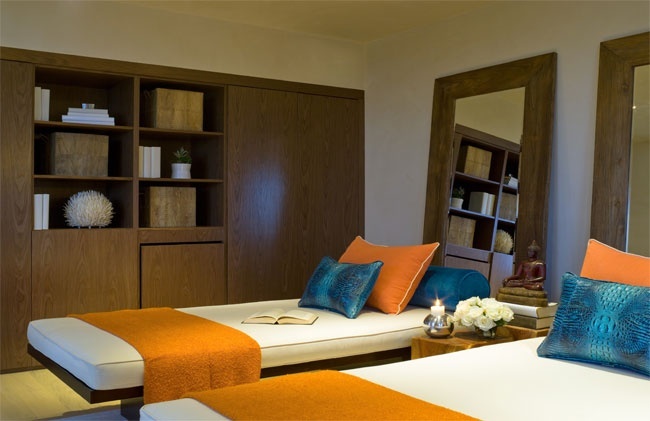 Yet, upon taking a closer look and having a conversation with designer Lori Dennis, it’s actually a fine example of the credo that green design can have many facets— and luxurious is definitely one of them. When the homeowners contacted Lori, their plans included an expansion that would bring their 4,000 square foot home to 6,200 square feet. They wanted to blur the lines of indoors and out, and truly emulate the relaxed mantra of southern California living. Interestingly, green design wasn’t on the list. “I was one of two designers who made it to the final round. In this interview, the owners were not really aware of green design. I went through the features and importance of including eco-friendly materials and systems. 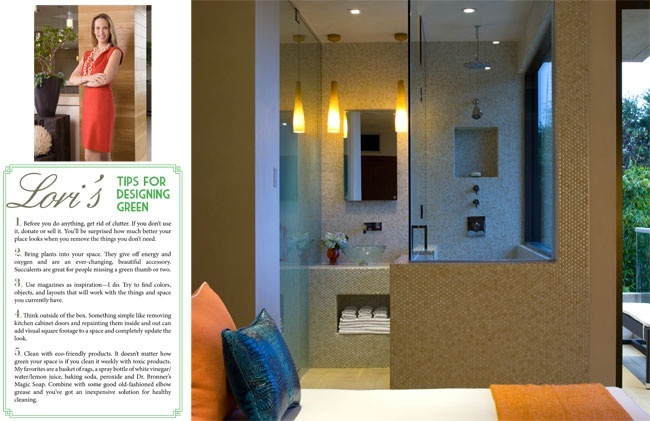 They were so impressed, it sent me to the front of the line.” And green it became, boasting a plethora of green finishes that truly respect one of the home’s primary design inspirations—the natural environment. The hardwood floors in the bedroom is FSC walnut. 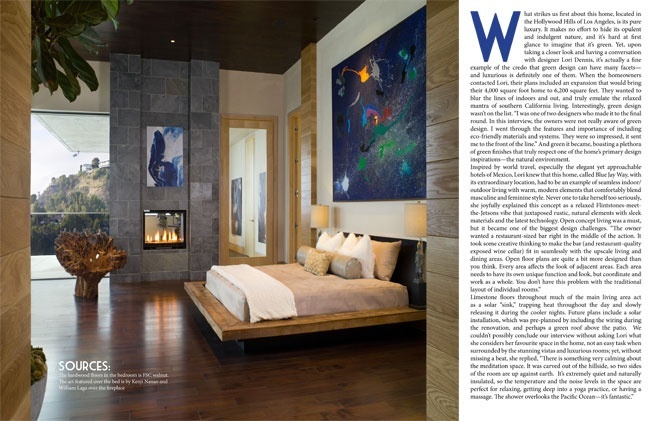 The art featured over the bed is by Kenji Nanao and William Laga over the fireplace. The home boasts a Smart Brain system, which ensure maximum energy efficiency with minimum usage; renewable and recycled materials throughout; systems like radiant heat; wiring for solar; designs will last and last the tests of durability and style. The soft cream flooring is natural limestone. The bathroom cabinets are by Treefrog Veneers. All the fixtures by Dornbracht. The soft cream flooring throughout much of the living area is natural limestone. The horizontal wall paneling is FSC white washed oak. The warm grey counter tops are made using recycled quartz, by Caesarstone. Visit loridennis.com for sources on accessories. Much of the furniture is designed by Lori herself, who uses FSC wood for framing, no-petroleum based foam for cushioning and organic fabrics. The stunning bathroom vanity is reclaimed teak, fabricated by Lounge Factor. 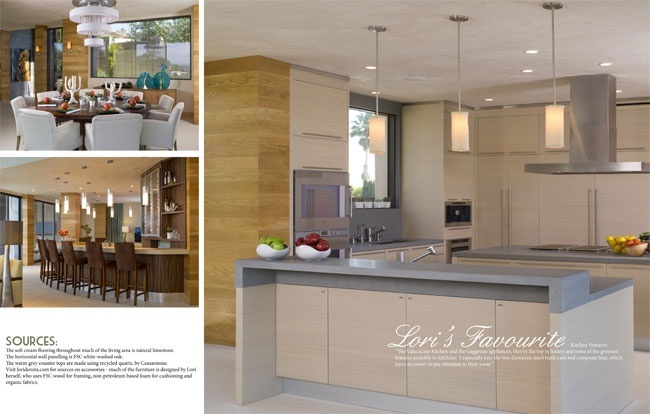 Visit loridennis.com to get this look at home. Before you do anything, get rid of clutter. If you don’t use it, donate or sell it. You’ll be surprised how much better your place looks when you remove the things you don’t need. Bring plants into your space. They give off energy and oxygen and are an ever-changing, beautiful accessory. Succulents are great for people missing a green thumb or two. Use magazines as inspiration-I do. Try to find colors, objects, and layouts that will work with the things and space you currently have. Think outside of the box. Something simple like removing kitchen cabinet doors and repainting them inside and out can add visual square footage to a space and completely update the look. 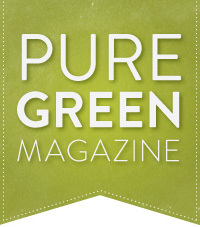 Clean with eco-friendly products. It doesn’t matter how green your space is if you clean it weekly with toxic products. My favorite are a basket of rags, a spray bottle of white vinegar/water/lemon juice, baking soda, peroxide and Dr. Bronner’s Magic Soap. Combine with some good old-fashioned elbow grease and you’ve got an inexpensive solution for healthy cleaning. 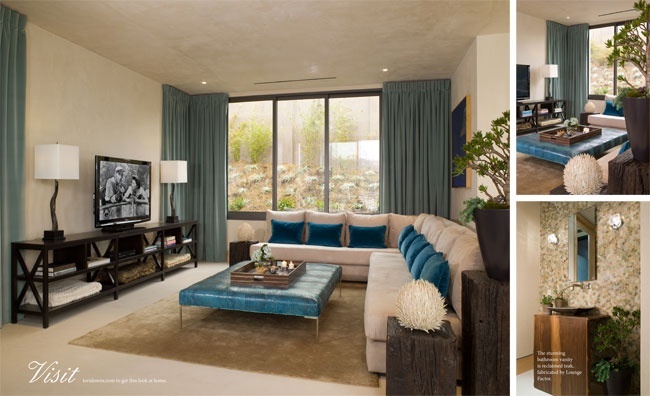 Our Hollywood Hills luxury construction project is featured in this article about our partner, famous interior designer, Lori Dennis. In this home we were selected as the top construction company specializing in hillside retaining wall. The project included an infinity pool and hillside caissons, that allowed the pool to hang over the cliff facing the Pacific Ocean.